Chimera Weld-on fuel injection bung for custom gas tanks and Zuma 125 engine swaps. Chimera weld-on fuel injection bung for Yamaha Zuma 125 fuel injection system. Perfect for those who are swapping a Yamaha Zuma 125 engine into their project bike, from custom Honda Ruckus, custom Honda Metropolitan, to custom Yamaha C3, or other applications! Perfect for custom gas tanks made for your Yamaha Zuma 125 or anything that would be using Yamaha Zuma 125 fuel pump assembly, and fuel injector. 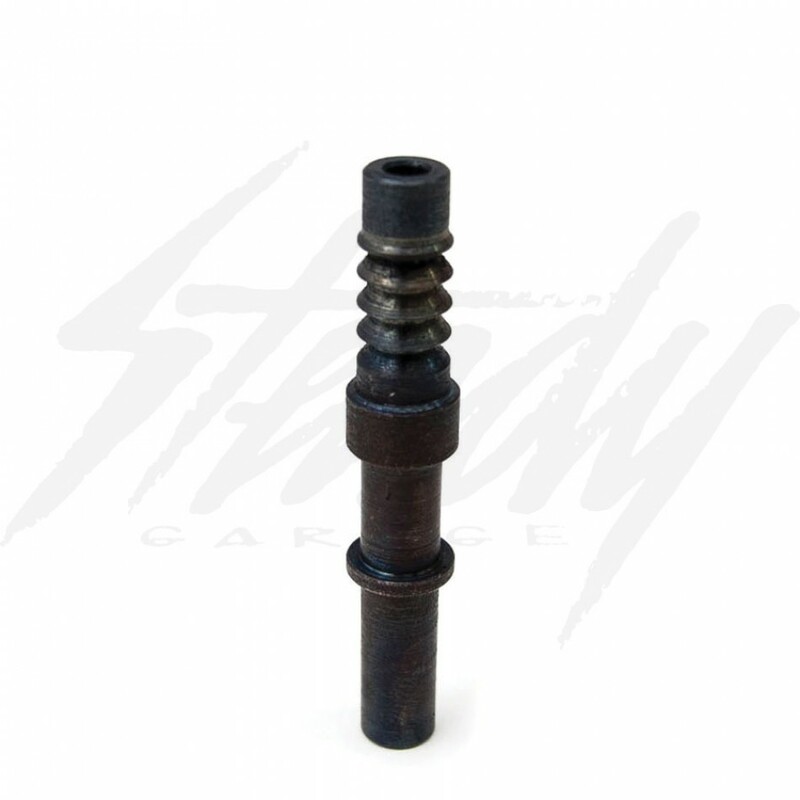 Designed to be used with the OEM Yamaha high pressure fuel injector hose that was included with the Yamaha Zuma 125. Designed for those who are planning to customize their fuel tank set up to have an internal fuel pump will need this bung. This allows you to use the OEM fuel hose and fuel injector with out the need to retrofit the injector so it could be used with other hoses.